« Where did the Revolution begin for you? it today. Without the modern conveniences of today, eating, sleeping, and communicating with each other would have been so radically different then what we are use to today. One of the things we are missing out on, because of technology, is the closeness and personal eye to eye conversations that these people in the past must have experienced with one another on a daily basis. large spacious homes have limited family time and the art of a good conversation. What great stores have you learned about through tight spaces this week? 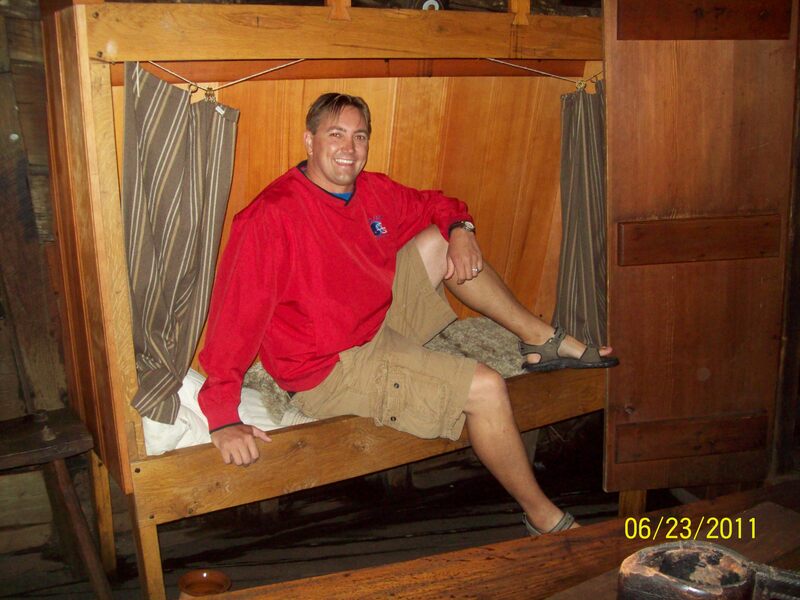 I totally agree about the tight spaces affecting how people in the past lived and how understanding historical spaces will give our students insight into the everyday lives of Americans. The tight spaces on the bus and in Fenway have also bothered me too! Thanks for responding to me brother. The High School seems like a great place to work. You are all such great people. It has been a blast to get to know you as well, you have added positively to my experience on this trip. Your comments and questions at sites show your historical savvy, and your friendliness to me has been wonderful. Happy anniversary today, and I look forward to the rest of the trip with you and your wife. Thank you Brother! It has been great hanging out with you! I totally agree. One of the great things about the trip is the people you get to spend your time and stories with. Some of my best trip memories are centered on the people I spent time with and not the places we saw. Happy Anniversary to you and Jess. I’m not sure why your posts are lining up the way they are. Is it your theme? If not, your pictures still might be too big and are loading, but seizing lot’s of extra space with them. If you want to work this out, I’m around to help.